The Naked Marshmallow Co was unbeknown to me until by bestie got me the greatest pressie of all at Christmas – their S’mores Kit. From there I have been keeping one eye on their mallows and couldn’t resist their newest special edition naked marshmallows. Coming in three flavours, Raspberry & Prosecco, Elderflower & Gin and Espresso Martini, I opted for the former two. It is pretty hard to pick just one flavour when it comes to what is on offer (thankfully they do multi-offers), and aside from the generic Vanilla Bean they also do Strawberry & Cream, Chocolate Orange, Salted Caramel and even Candy Floss. For those not wanting to just eat them straight out the packet, The Naked Marshmallow Co also does a Fondue Set, Toasting Kit and Hot Chocolate Kit. Being a special boozy edition they are slightly pricer than they standard marshmallows and come in at £7.50 a box albeit they’re on sale right not for £6.00. 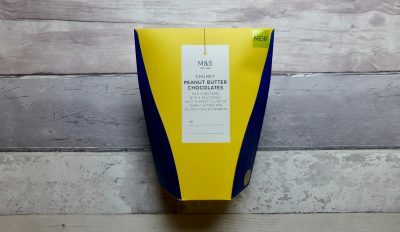 A price like this make these a luxury product however it is worth pointing out that these are handmade, contain 100% natural ingredients and are gluten free. Left: Raspberry & Prosecco: Made using real prosecco & 100% natural ingredients rolled generously in ripe raspberry powder. Right: Elderflower & London Gin: Made using real gin & 100% natural ingredients, two hand-poured layers combine to create a sweet, summer cocktail. I was most excited for the Raspberry & Prosecco so naturally this was the one I was going to try first. They were sharp, fruity and being rolled in raspberry powder certainly gave a real hit of flavour. The flavour was dominated by the raspberry and the prosecco is barely there which is a shame and I was left feeling these were just a fruity mallow. The texture of both passed the squidgy test, they were incredibly light, melt in the mouth and ticked every box for a marshmallow. With a pretty two tone colour, the Elderflower & London Gin smelt amazing. Both flavours complemented one another extremely well and I could taste both the floral sweet elderflower and the fragrant gin. Definitely a summer flavour. It’s fair to say I loved both. If we are marking on booze-ability Elderflower & Gin wins hands down and tasted exactly like it said on the box. Although the Raspberry was lacking Prosecco I will certainly be plopping one of these in a glass of bubbles. These really are a treat, not something you would buy all the time but the bundles make it worthwhile and there are often discount codes, so keep an eye out on their Facebook page. 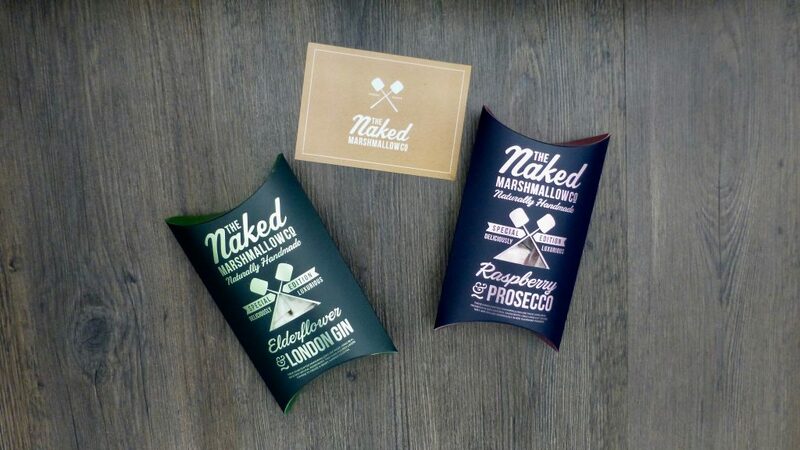 What also excites me is The Naked Marshmallow Co are releasing Marshmallow Vodka and Gin soon and after loving V Gallery Marshmallow Vodka I have high hopes. 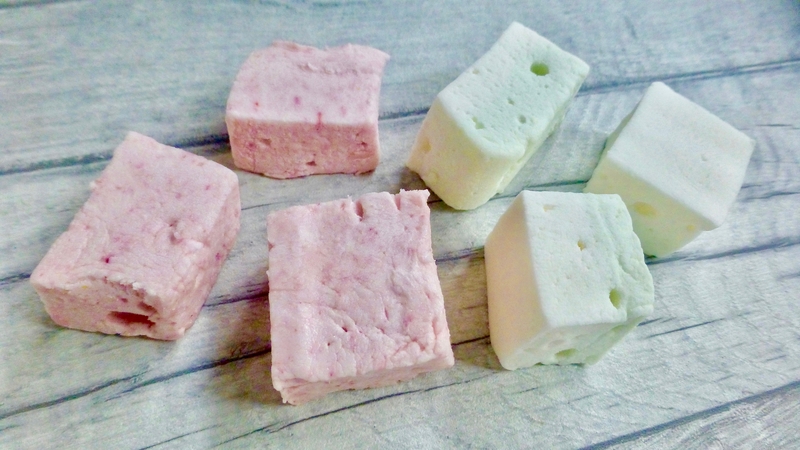 Boozy marshmallows omg whaaaaaat – need need need! 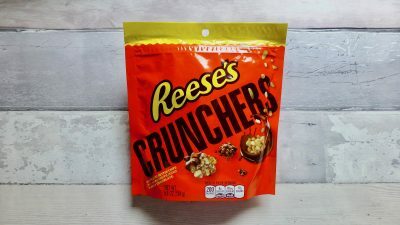 The raspberry and prosecco ones sound incredible!